Pour catnip (included) into the center of the Cyclone. 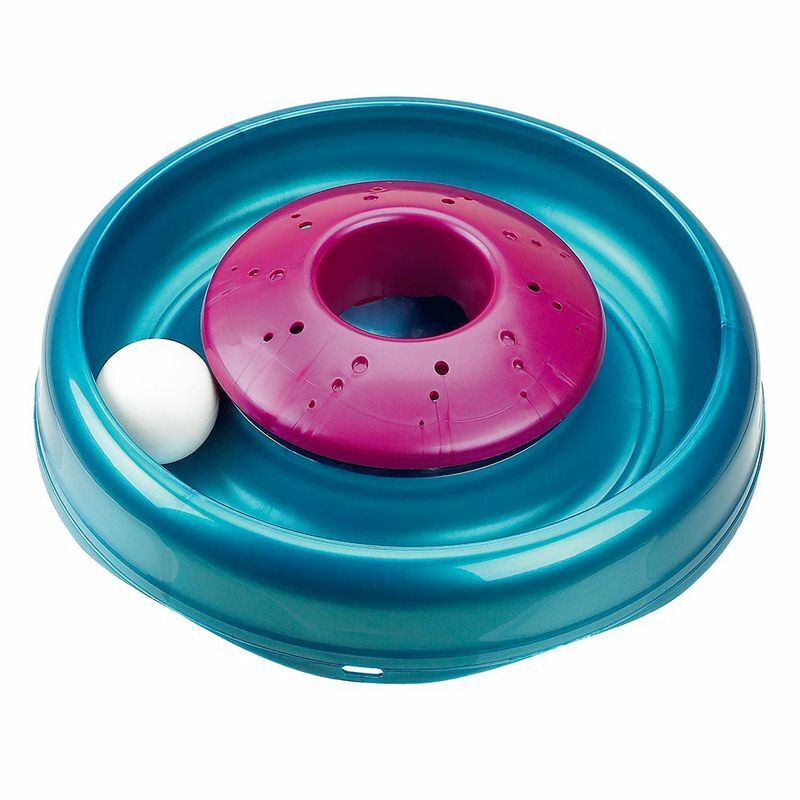 The ball rotation stirs the cat nip aroma into the air! Catnip and ball included. 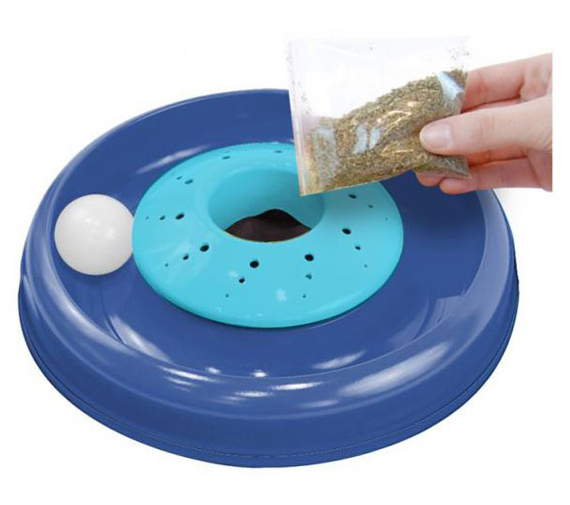 Attach the Catnip Cyclone to the Turbo Scratcher or Star Chaser base to create a Catnip Hurricane! Dimensions: 11.13" x 10.5" x 2.27"
11.1" x 10.5" x 2.3"